Mt. Gerizim’s sister peak stands above the modern-day city of Nablus, which surrounds ancient Shechem in the narrow valley linking the Farrah and Shechem Valleys. Archaeologists have found an Israelite cultic site on the mountaintop, which illustrates what is described in Deuteronomy 27. A view not often seen on a typical tour of Israel is that of Mt. Gerizim (left) and Mt. Ebal (right), looking west at their profiles. From this angle, one can see their proximity, illustrating how two halves of one great nation could face one another on each mountain to deliver the blessings and the curses. These mountains can most commonly be seen on the North-South highway approaches to the modern day city of Nablus, which contains the ancient site of Shechem. From the tel of ancient Samaria, one can see the long stretch of mountains and mountain passes that make up the road from the Shechem Valley to the famous trading routes along the coast. Looking west, generations of its inhabitants have marveled at nature’s beauty as they watched the sun set over the Mediterranean beyond the hills. 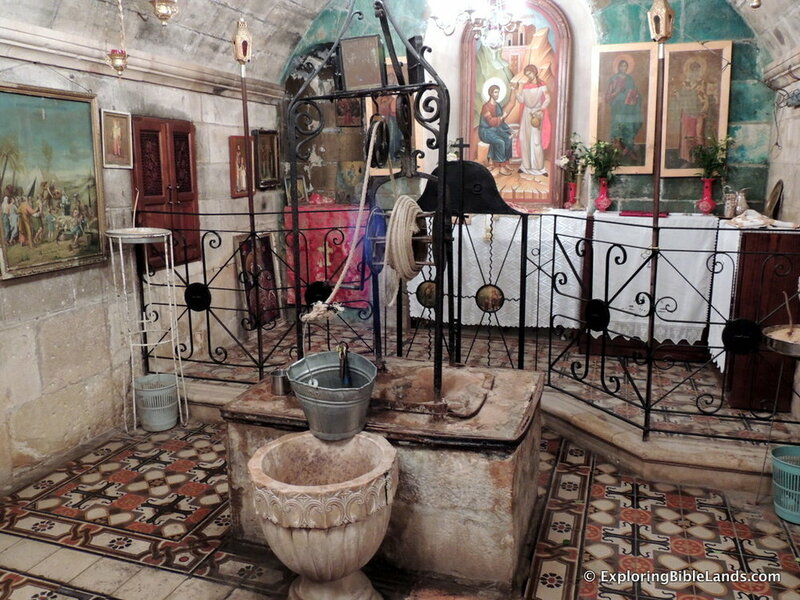 In John 4, we read the account of Jesus stopping by this well and speaking with a local woman who had come to draw water. So, what is this new year's resolution? How about this: Let's take every opportunity that we can to talk to people about Jesus. Did Jesus plan His entire day forcing this opportunity to happen? I don't know. But what I do know is that he did not let the opportunity pass when it was offered to Him. He saw the woman coming and He saw the water. He then created an opportunity to talk to her about things that she needed to hear. Let us all strive to see opportunities and to not let them pass by. Do you want to travel to Israel and see great sites like this? I would love to have you join me. Take a look at the trip details and contact me for more information.